There were also complaints of claims being denied for not adhering to Medicare rules—one provider reported a denial because a doctor’s credentials and date were not entered on the chart notes next to his signature. The Medicare Program Integrity Manual though doesn’t require this. While some of these are good for a chuckle, they do present a clear threat for providers—they are the types of claims that can make the audit process unnecessarily difficult and perhaps even trigger an audit itself. As part of the growing “Targeted Probe and Educate” program the expansion will be provider and supplier specific from the beginning, meaning that providers who are already submitting claims that comply with Medicare policy should be relieved of some of the burdens of additional review. Providers face a potential three rounds of review by a MAC, and individualized education will be offered after each round based on the results of the review. 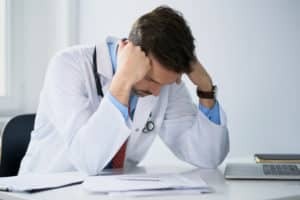 After round one, providers who fall into the moderate and high error rate categories will continue to a second round, with only those with high error rates continuing to a third. Since low error rates help qualify providers for removal from the review process after any of the three rounds, low error rates should be a priority for any provider interested in minimizing the difficulty of their audit process. The best way to get to those low error rates? Investing in a system that can analyze and identify denial trends around Medicare claim errors. Access Denial Intelligence offers that exact benefit along with a highly intuitive user experience that can be used across the provider and at multiple levels of management.